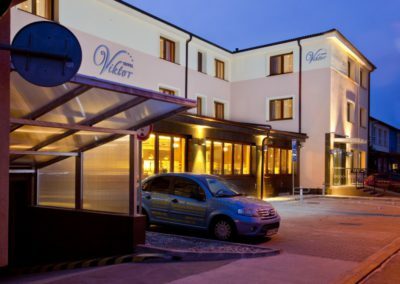 New-built , modern hotel, situated close to the centre of Bratislava, offers a high accommodation standard for business clients, tourists, families with children or currently ice-hockey fans. 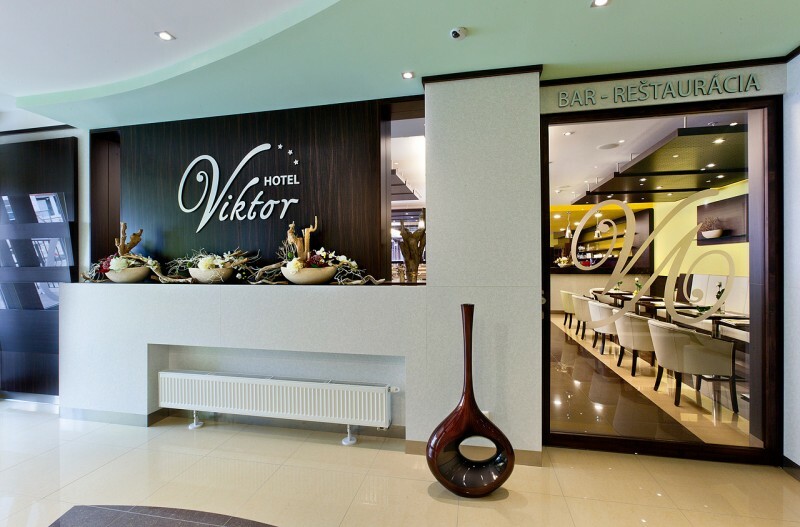 Hotel Viktor*** disposes of 39 rooms with the capacity of 82 beds. We offer accommodation in double rooms with coupled or separated beds. For your better comfort you can use two apartmans. 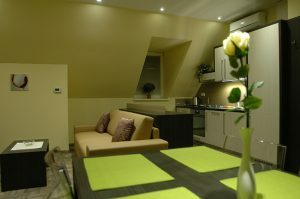 Rooms are equipped with quality and modern furniture, which gives you the pleasent and cosy feeling. 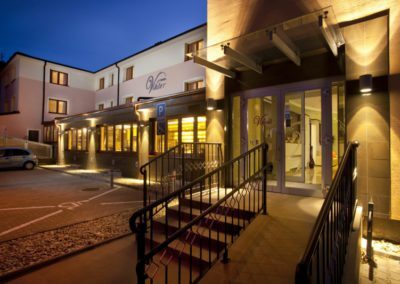 Whole hotel, including the rooms, has air-conditioning. 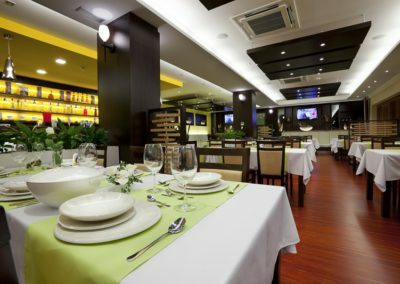 There is an internet connection (cable internet connection or wi-fi) in each room and the hotel fulfils the newest safety standards. 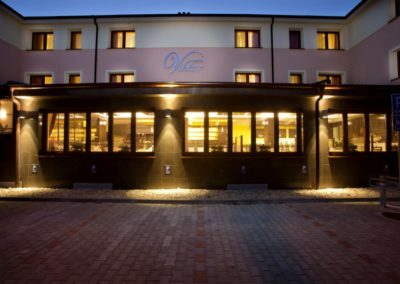 Hotel is situated in a quiet part of Bratislava among the family houses which is only several streets away from D1 and D2 highways, practically at the intersection of these important traffic arteries. Tourists going through Bratislava will surely appreciate the proximity of Petržalka railway station, through which all trains are heading to Austria as well as they are leaving for the north Slovakia. This station is app. 500 m from the hotel. 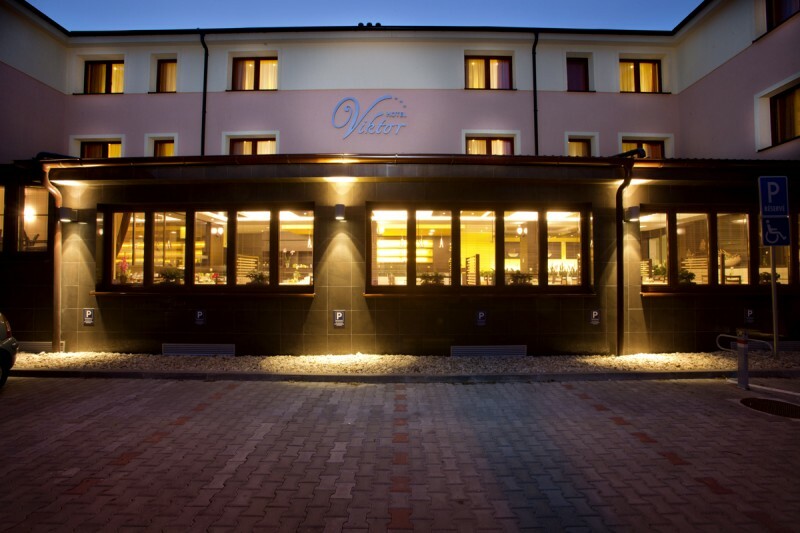 There are bus stations with the availability of connection to the city center, close to the hotel. 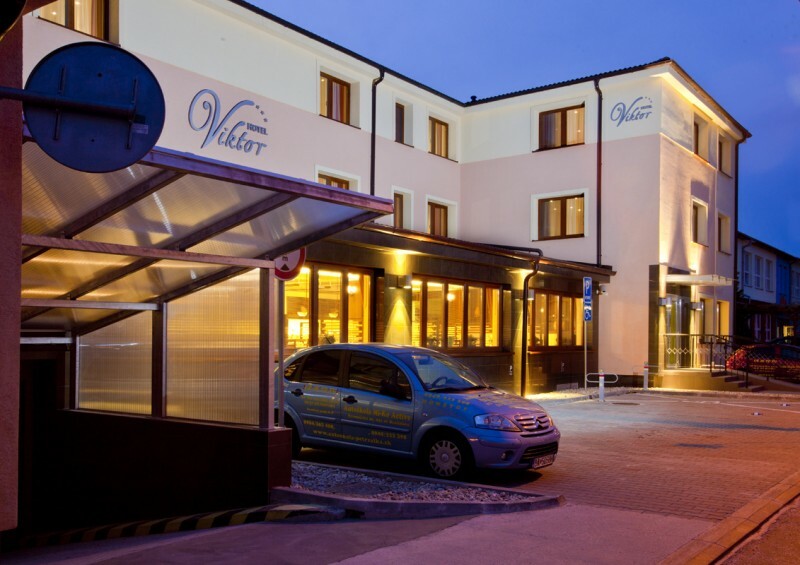 The guests, who come to our hotel by car, have the possibility of comfortable parking in an underground garage with a non-stop camera monitoring , as well as oustide parking right in the front of the hotel. 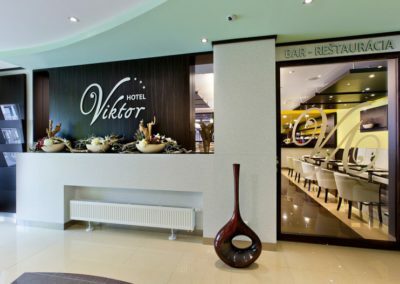 Hotel Victor*** has its own restaurant with coffee-bar, bar and lounge. There is a non-stop hotel reception. Guests can be accommodated until 10pm every day. 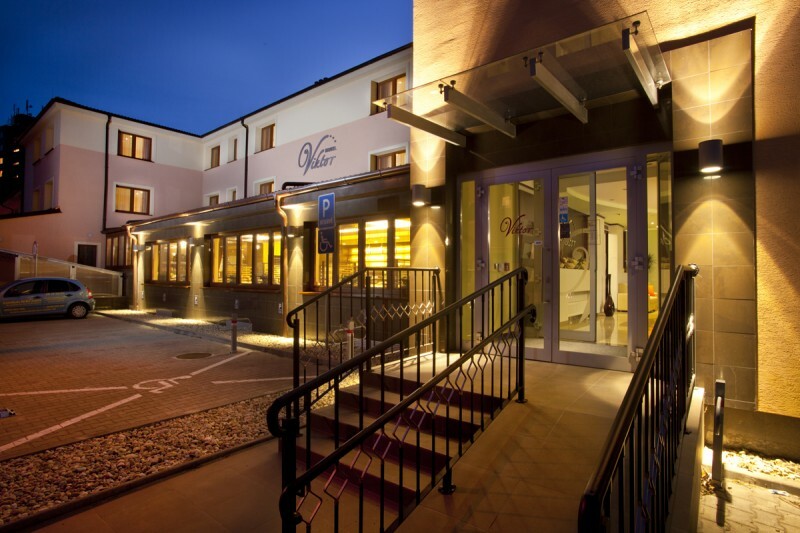 For more information concernig accommodation go to the section of Accomodation.